Hats Off! 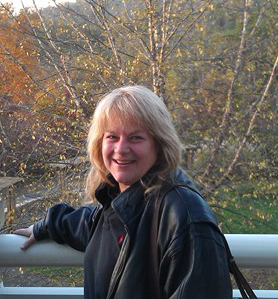 to Staci Lynn Bell whose poem "The Best of Times" will appear in Kakalak 2017 (Main Street Rag, December). Staci Lynn Bell is a Chicago native who attended the University of Wisconsin, Madison. She relocated to South Florida, gaining popularity as a 25 year radio and television personality. 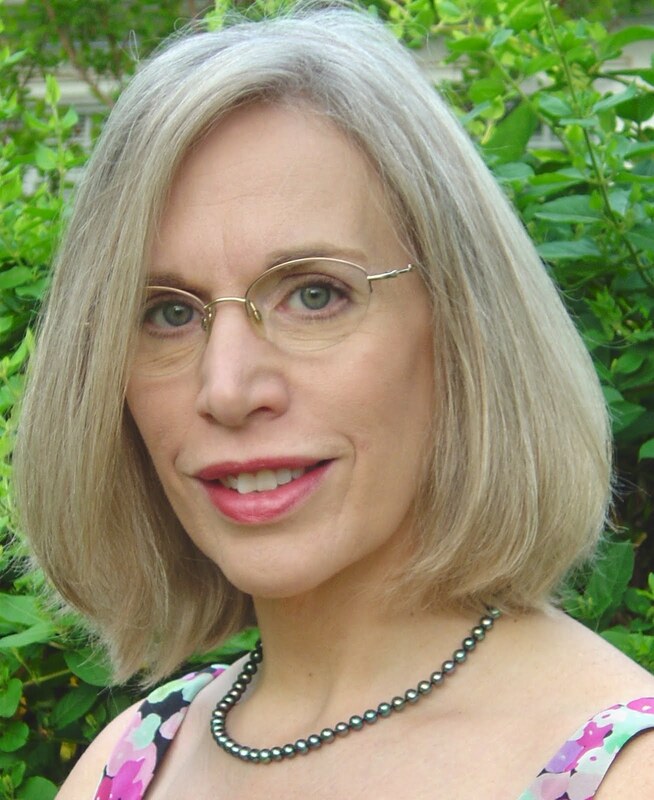 Bell’s poetry and prose have also been published in Wild Goose Poetry, Wolf Warriors Anthology,and 234 Journal. 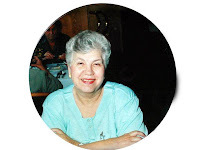 She lives with the loves of her life, her two dogs, in Hayesville, NC. Due to inclement weather conditions, the KAKALAK reading scheduled for Jan. 23, 2016, at City Lights Bookstore in Sylva, NC is cancelled. City Lights has agreed to work with us in attempting to reschedule the event for April. We'll be posting updates on Facebook from time to time, in addition to email communication. The next Kakalak Poetry and Art Contests start March 1. We hope to hear from you! 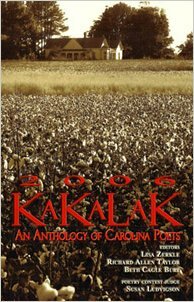 Several authors who were published in Kakalak, an anthology of North Carolina poetry and art, will be reading at City Lights Bookstore , 3 Jackson St., Sylva, NC 28779, on Saturday, January 23, at 3:00 PM. The public is invited to attend and it should be a nice gathering of poets and writers. 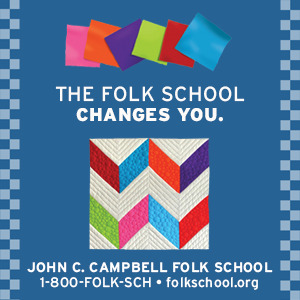 Michael Beadle, poet and teaching artist, from Canton, NC, and Jo Carolyn Beebe, writer from Hiawassee, Georgia will read at the monthly Poets and Writers Reading Poems and Stories at the John C. Campbell Folk School, in Brasstown, NC Thursday, September 18, 7:00 PM. Beadle’s first poetry collection, An Invented Hour, was published in 2004, and his poems have been included in various journals and anthologies such as The New Southerner, Kakalak, and Sow's Ear. 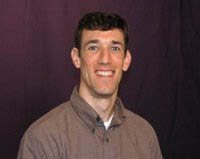 Michael tours the state teaching poetry and creative writing workshops as an artist-in-residence. He also performs original, classical and contemporary poetry for schools, festivals, elderhostels, and church and civic groups. His most recent poetry collection is Friends I’ve Never Met. Michael is a contributing writer and an award-winning journalist for the Smoky Mountain News, a weekly newspaper in Western North Carolina. Read some of his poems online at http://www.ncarts.org/ and http://www.netwestwriters.blogspot.com/. Jo Carolyn Beebe was born in Baldwyn, Mississippi. She majored in Religion and Creative Writing at Miami University of Ohio. Her work has been published in Main Street Rag, Lonzie’s Fried Chicken, an anthology, Lights in the Mountains and in Heroes of Hackland. Abingdon Press published a short story and children’s play written by Beebe. This busy writer has several pieces completed and waiting for the right publisher to take them.